Lately, I have been spending more time reading books than traveling. Don’t ask me why because I don’t know but I feel compelled to inject new energy into my life, travel style and writing. Something is missing and solutions are coming to me via the books that I read. In another time, only travel guides and maps sat on my book-shelves. I refused to read fiction, biographies or any topic that did not benefit my travel plans. This year though, all the books I read have one common theme. The authors are all women with a strong connection to Turkey and the topics deal with people’s lives in this country. 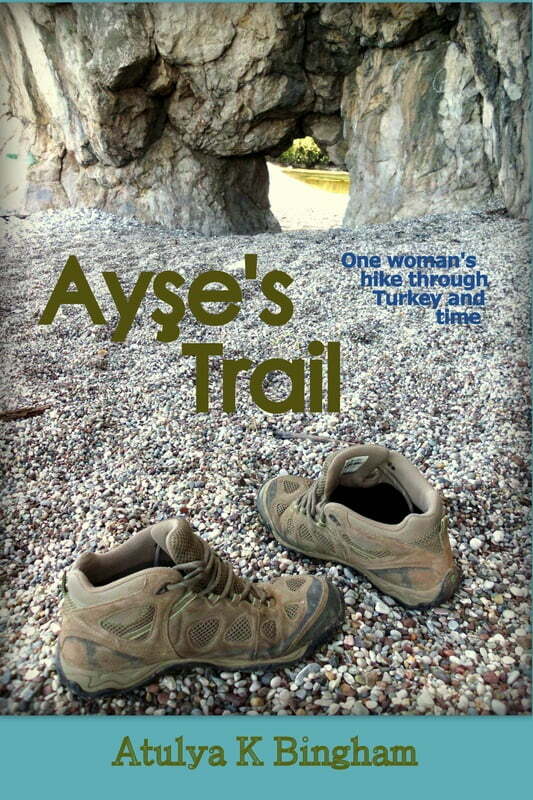 The latest book I have read and strongly recommend is Ayse’s Trail. Written by her friend Atulya, Ayse’s Trail is the story of a Turkish woman, who defied society’s expectations. The book was delivered to me by cargo and I remember thinking excellent timing! 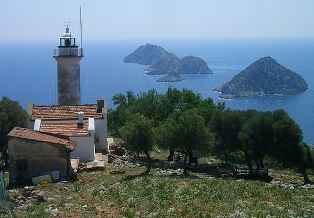 I was due to embark on a Blue Cruise of the Mediterranean coast, which is home to the Lycian way. This is a trekking route, of more than 500 kilometres and it consists of ancient ruins dating from the Lycian Empire that existed until roughly 500BC. Their former capital city was the UNESCO site of Xanthos, which is mentioned frequently throughout the book. I was going to sail along the coastline but the book is a true life story of a woman who has trekked it. Not just once, not just twice but eight times! Why Did Ayse Trek the Lycian Way? Now, trekking the Lycian way itself is impressive. Some people have died trying to complete the route, so the book, tells how but more importantly why Ayse, a 38 year old Turkish woman, whose status in society was that of a worker, wife and mother, attempted the huge life goal. In 1990, she was the victim of domestic abuse and intent on adhering to her belief, that there was more in life, she asked her abusive husband for a divorce. Shunned by society and even her family because of this request, she fled to the West Coast of Turkey to carve out a new life for herself. Now for readers, unfamiliar with this country in the 1990s, woman did not do that! They turned a blind eye to abuse, affairs, and gossip because it was better than being a divorcee or single mum. It still happens now, in certain places throughout Turkey, that women are bound by cultural beliefs and society’s expectations. Ayse was ahead of her time though. After a few false starts, she eventually settled in Olympos, knitting swimming costumes and bracelets for foreigners. Then she found herself with an urge to walk the 500 kilometre coastline. Throughout the book, chapters focus on Ayse’s former life, her experiences while trekking alone but there is another twist which delighted me to the core. Every step Ayse took, when walking the Lycian way has already been walked by other people. Throughout history, people have lived in those towns, travelled those roads and walked those paths, so how clever for the author to weave into the book, the story of Harpagos, the Persian general who walked the Lycian way because he had to conquer it, on the orders of his Persian king. I had never heard of Harpagos before but he was responsible for the downfall of the Lycian empire. They were fierce fighters and never surrendered, instead preferring to die but this Persian general swept across the Mediterranean coast to eventually wipe them out. His journey is called “Harpagos’ Trail” and many historians argue about his life story, but the author has carefully researched his biography to provide a fictional account of his invasion of Lycia. As Ay?e hikes, she is effectively treading in Harpagos’ footsteps. Everyone. It focuses on personal life stories, treks, nature, history and people. 100% sure that you will enjoy Alan – Happy reading!